Rice and dice! 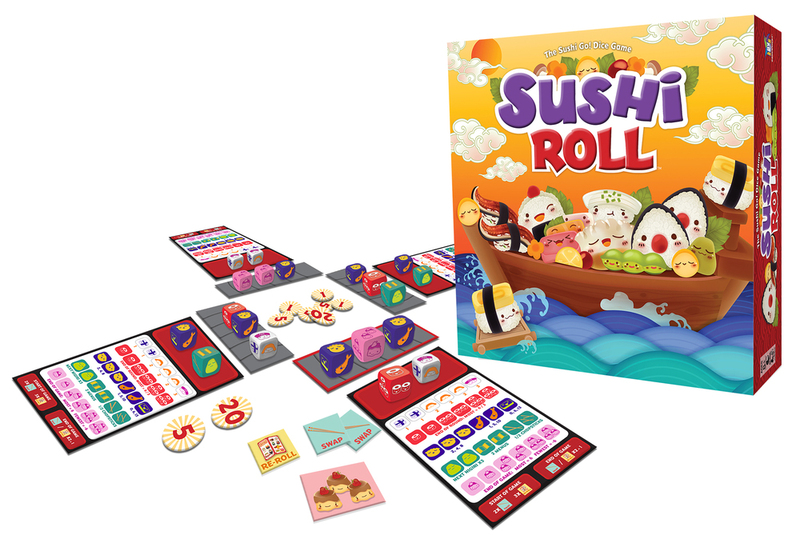 Roll with your favorite Sushi Go! characters in this dice version of the best-selling card game! 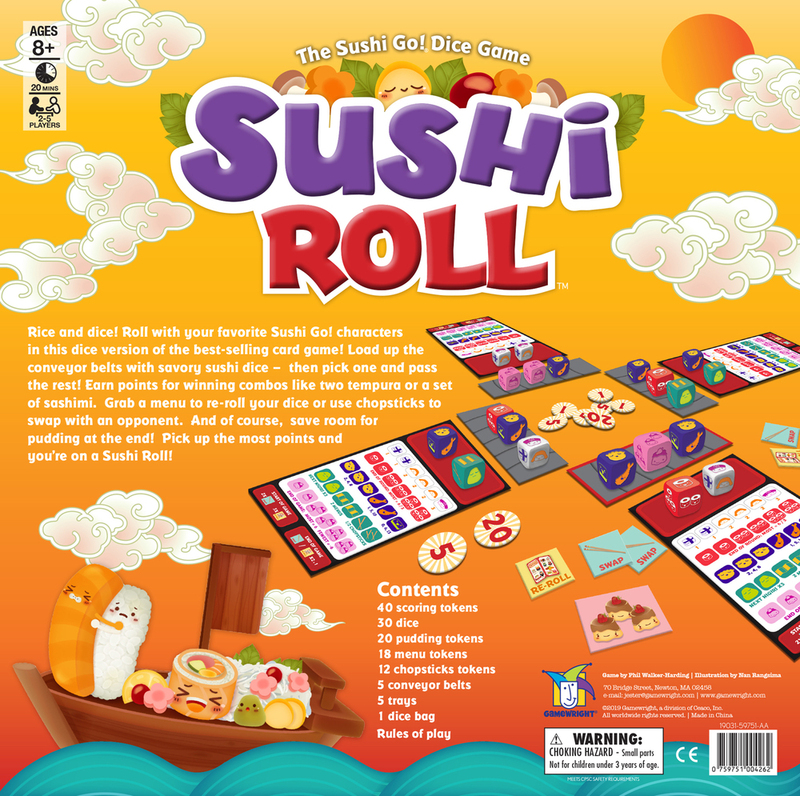 Load up the conveyor belts with savory sushi dice – ­­­­ then pick one and pass the rest! 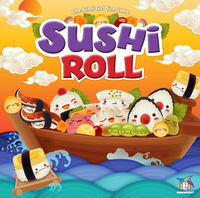 Earn points for winning combos like two tempura or a set of sashimi. 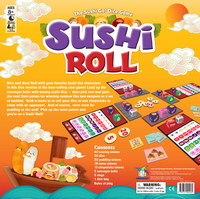 Grab a menu to re-roll your dice or use chopsticks to swap with an opponent. And of course – save room for pudding at the end! 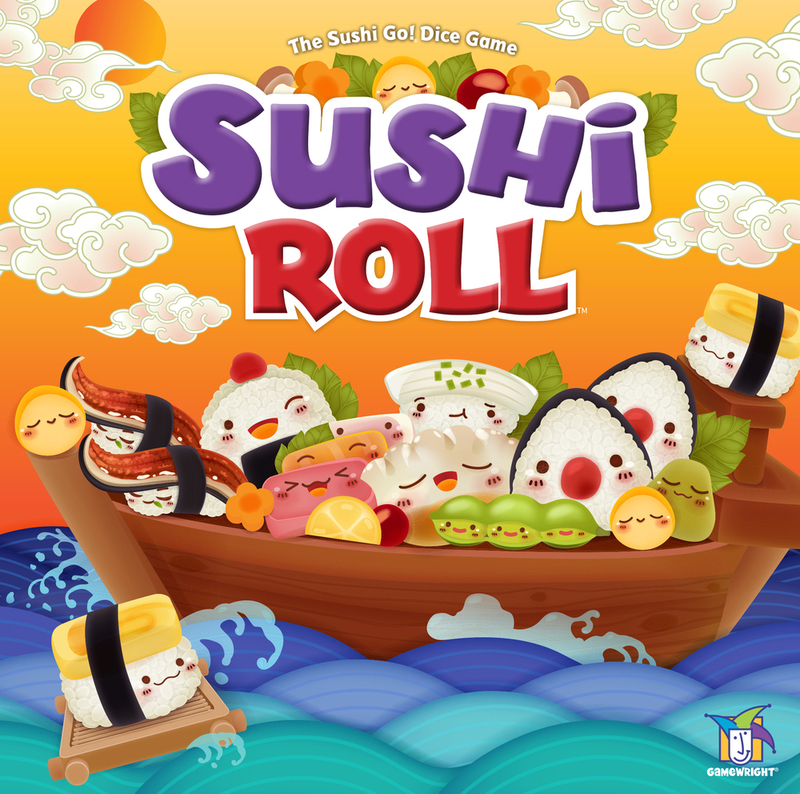 Pick up the most points and you’re on a Sushi Roll! If there are two things we’ve learned about our fans over our 25 years of publishing games, it’s that 1. They love playing Sushi Go! and 2. They really love games with dice. So it should come as no surprise that we would combine these two passions into a game! Sushi Go! inventor Phil Walker-Harding came up with a fun twist on his best-selling card game that strikes a balance between strategy and probability. Carton size: 11.4" x 11.4" x16.33"